Is that not the cutest little "photo-bomber" you've ever seen above?! Sweet little Peyton... with his gorgeous curls (see the last picture of this post). And his curious spirit. He has grown SO much since I did his Studio Newborn Session and Cake Smash in 2016 and 2017! Such a handsome little guy. P.S. 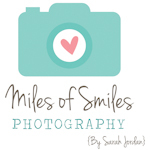 - you have to check out his Newborn Session... it was precious! Click here for Peyton's Studio Newborn Session blog post.